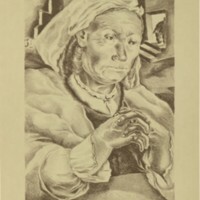 "Indian Laurels" by Alan Crane. 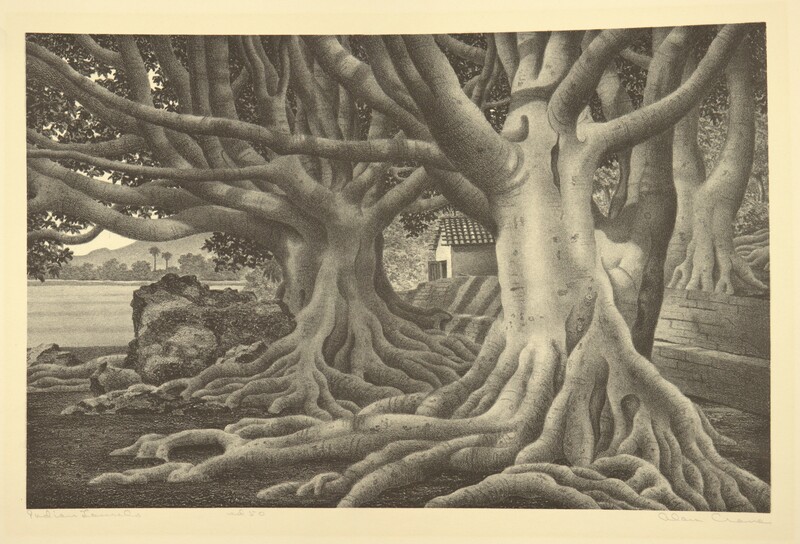 A lithograph of trees with a small building behind the trees and a mountain in the background. Crane, Alan - American (Illinois), 1934 address was Brooklyn, New York. 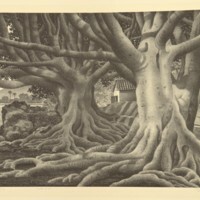 Crane, Alan, “Indian Laurels,” Digital Exhibits, accessed April 24, 2019, https://cuexhibits.wrlc.org/items/show/64.